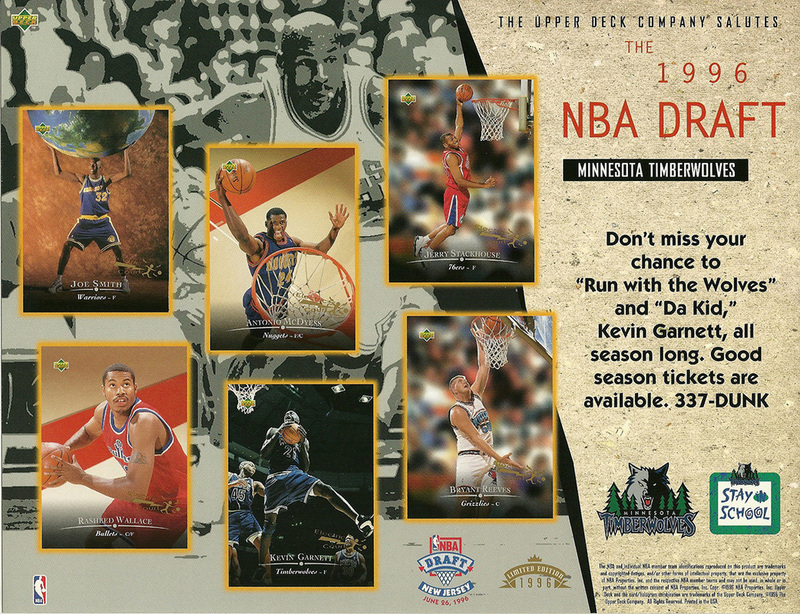 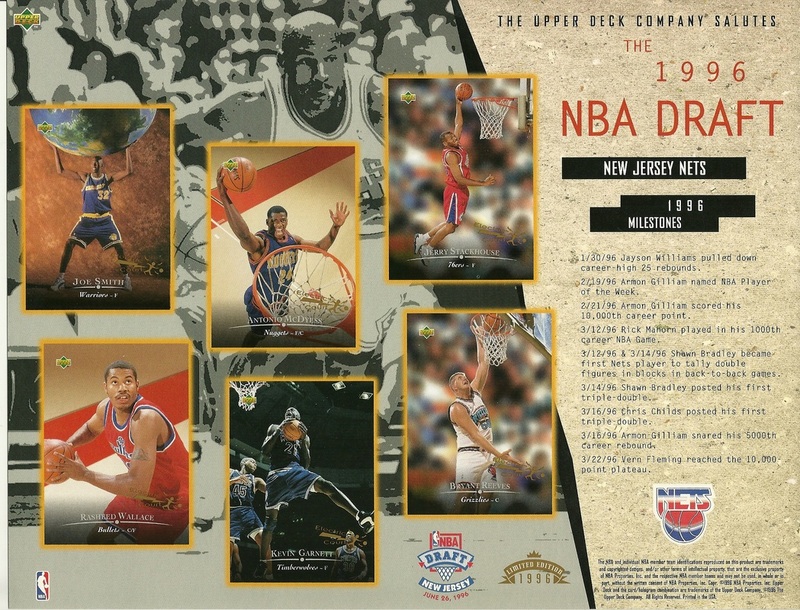 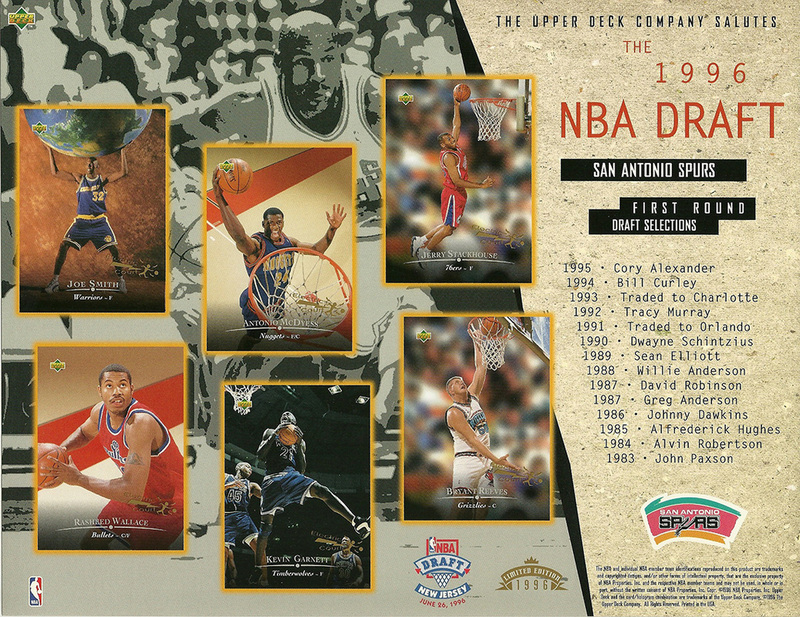 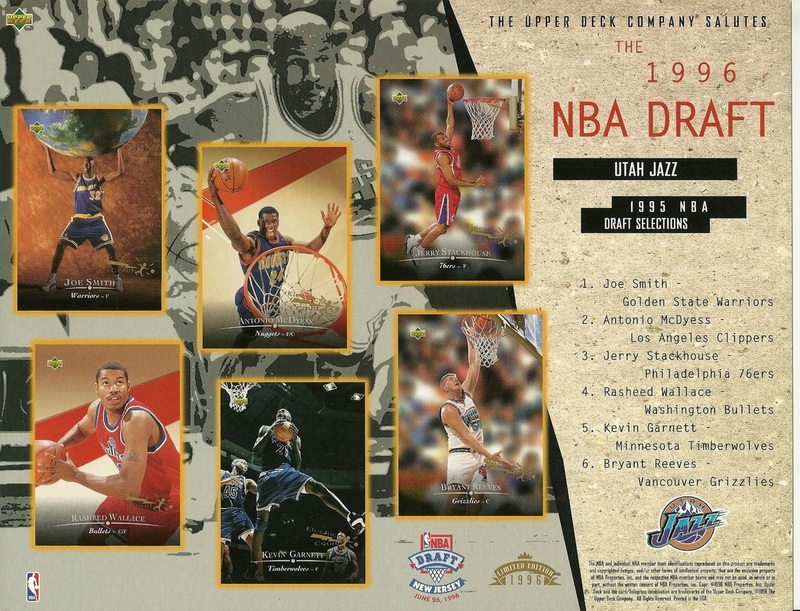 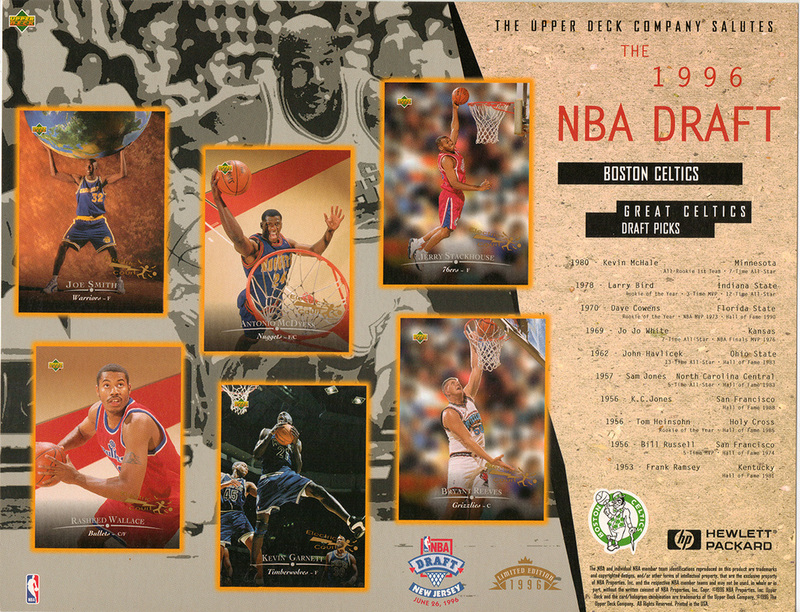 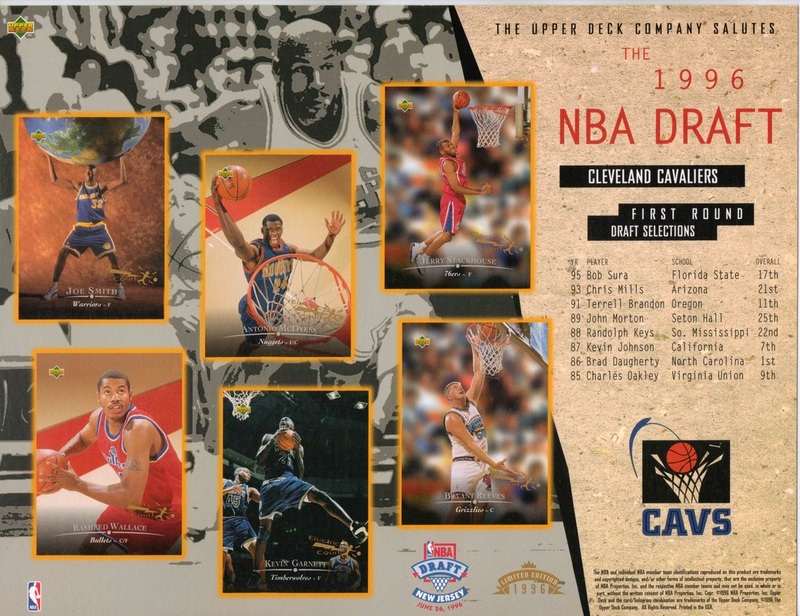 For 1996 Upper Deck produced NBA draft sheets. 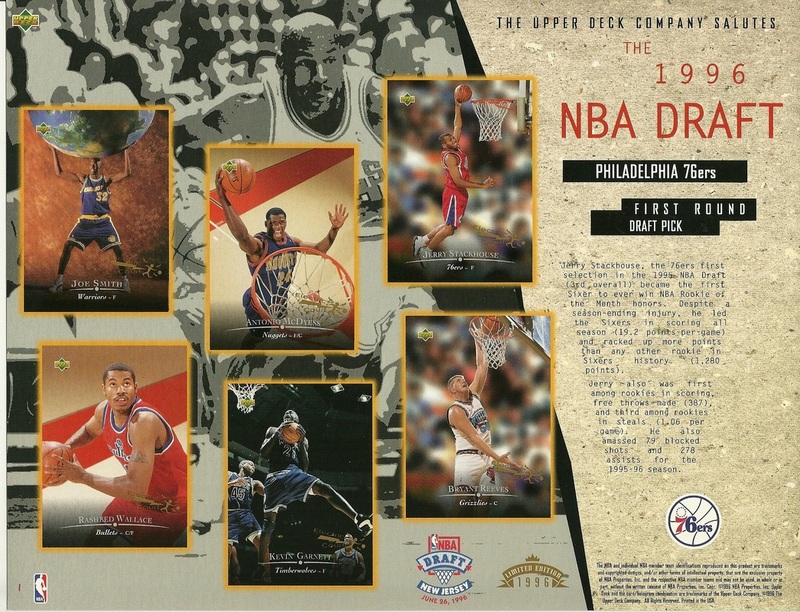 They were given out at stadiums on June 26th. 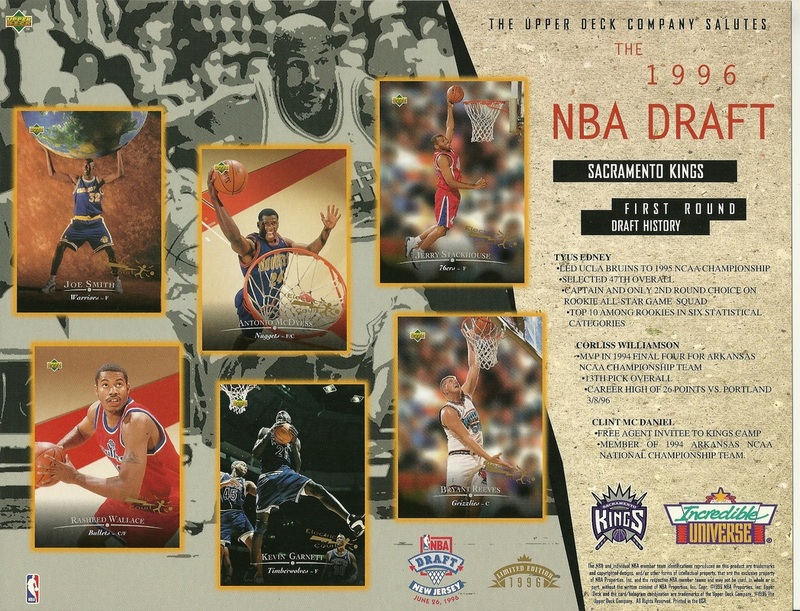 and these sheets are not numbered. 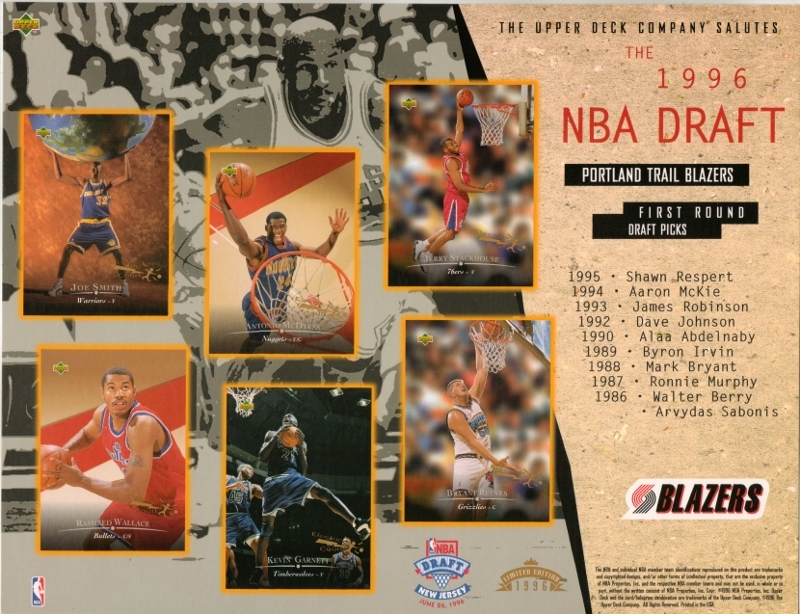 They have Joe Smith, Rasheed Wallace, Kevin Garnett, Antonio McDyess, Jerry Stackhouse and Bryant Reeves pictured on them. 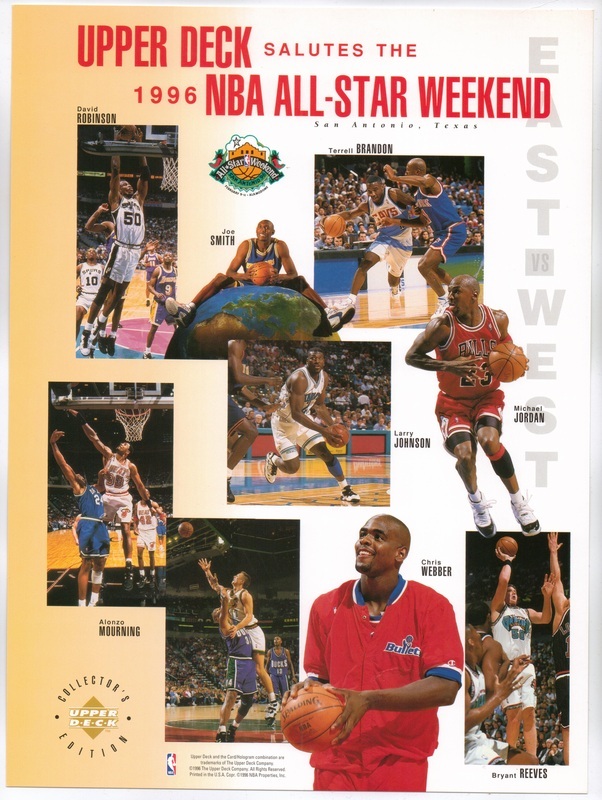 I'm sure other teams did these sheets. 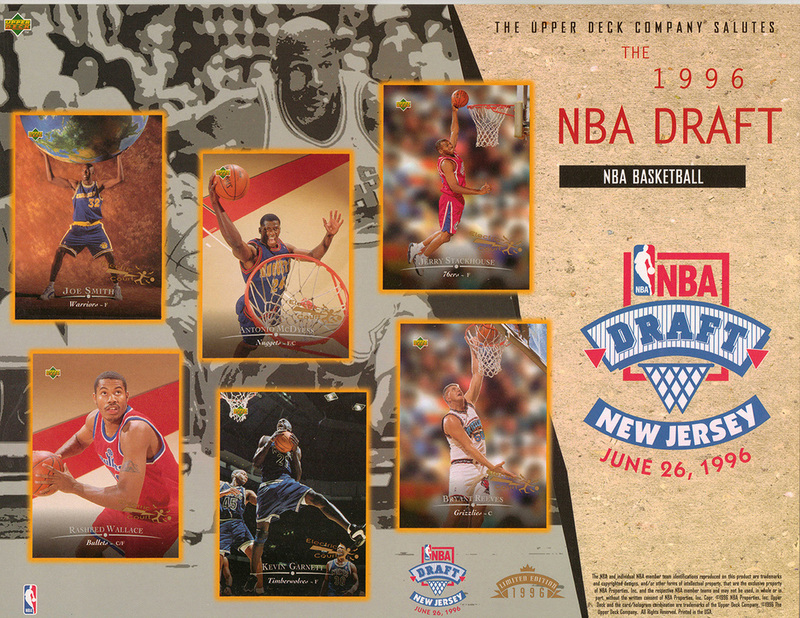 I just don't have them or haven't seen them.